"We're huge supporters of Rich Stonerdoom's The Day After The Sabbath blog. It's the main source in our quest for obscure heavy 60s and 70s rock. Now, Rich has dedicated some of his compilations to Roadburn; these two special volumes include all the classic 70s bands that have played the festival so far, along with tracks from a host of Dutch rock novelties and obscurities, which we wholeheartedly endorse!" - Roadburn festival 2012. Supersister, from The Hague, started out in 1968 and along the way included ex-members of renowned Dutch bands Brainbox, Bintags and Livin'Blues, including drummer Herman van Boeijen who was also in 'Panda' later on this comp. They had a markedly different, more progressive approach than those bluesy bands and are often associated with the English Canterbury scene which they pre-dated by a couple of years. Centering on Robert Jan Stips' intense and at times evil sounding keyboards, 'She Was Naked' was a single that was not originally included on any of their 4 full-lengths, and it perfectly demonstrates their schizophrenic dark/light nature. Our first Roadburn appearance band is Leaf Hound, who played the fest in 2006, and will do so again this year to celebrate their 40th anniversary (though Pete French is the only original member). Leaf Hound's album, 'Growers of mushroom' was re-discovered in the 80s as a lost classic and at times has commanded silly money from record dealers. Evolving from Black Cat Bones, who originally included later-members of Free - Paul Kossoff and Simon Kirke, and guitarist Rod Price who departed to join Foghat, they were joined by vocalist Pete French with his cousin Mick Halls on guitar. French later left to join Atomic Rooster and then Cactus, so he really is something of a TDATS hero! I have been lucky enough to see him perform with Leaf Hound in London a few times in recent years and am glad to report his voice sounds as good as ever! 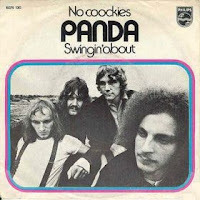 Panda were a short-lived act from Noord-Holland that included members of Turquoise, Tortilla, Cuby, Livin'Blues, Modesty Blaise, Bintangs and Tee Set. Herman Van Boeyen (drums) later formed Vitesse. They had a minor hit in 1971 with 'No Coockies', of which the b-side "Swingin' About" is interesting to us heavy-hunters, it's an unusual track with a lumbering sabbathian riff and cool flashes of sax and flute. Track four approaches, I have been aware of the Influenza single for a while now, but have always thought it was French, as that is what's usually stated. With the recent assistance of knowledgeable Dutch fans (take another bow Marc) I have confirmed that they were Dutch and drummer Pieter Voogt was in the successful symphonic prog band Ekseption. Both sides of the single "Astral Plane / Trick" are great pieces of West Coast-influenced dreamy psych. Originally the "Sandy Coast Skiffle Group", Voorburg's Sandy Coast formed in the early 60s and after winning a Hitwezen Magazine-organised talent search, were awarded a Negram record contract. 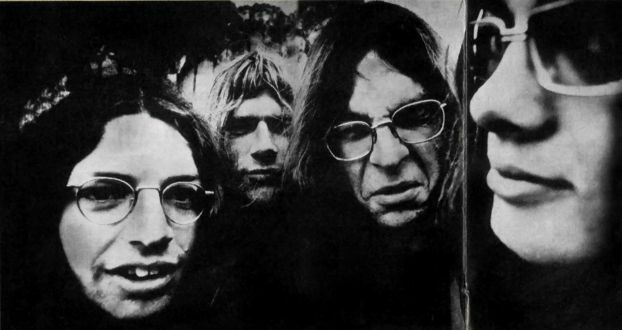 Being a band that followed the vogue sound of the times, they started out as a beat group with their '67 debut, then delved into some Beatle's and early-Floydish psych sound experimentation with 1968's 'From The Workshop'. 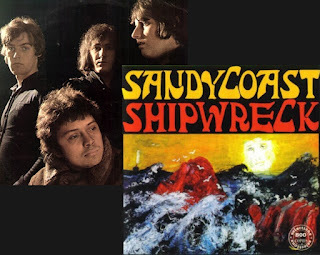 With 1969's LP "Shipwreck", they didn't change their over-all sound too much, and remained quite mellow, except for a couple of important exceptions. With their 14 minute masterpiece 'Shipwreck', pre-dating the story-telling inclinations of Rick Wakeman's Journey To The Center of the Earth and Jeff Wayne's War of the Worlds by a few years, they weave an epic mariner's tale of sea-going disaster. By drifting in and out of a heavy, repetitive 'Impossible Mission' theme-like central riff, they convey the ups and downs from a sailor's perspective. Ron Westerbeek's use of keyboards for atmosphere and sound effects, and Onno Bevoort's varied drumming combine to great effect and make for an exciting, tension-building trip. It leaves me wishing they had carried on with this proto-prog pomposity as it shows them in their element, and were a few years ahead of their time with it too. There is scarce information on Fullhouse from Utrecht, they made two or three singles in the late sixties which were quite light affairs, but like a lot of acts back then, they let go with their less commercial intensions on a b-side. "The Wizard of Khu", like Panda's "Swingin' About", was one of these times, It also has some great aggressive vox and the same lurching quality that really gives the riffs a weighty feeling. 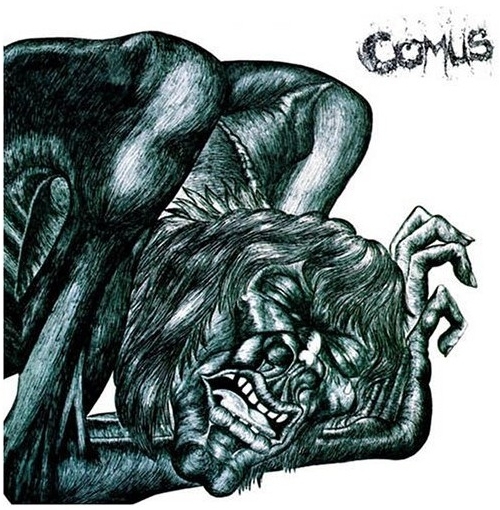 Heavy stuff for 1968 and one of those tracks you can imagine a modern stoner rock/doom band having a lot of fun covering. 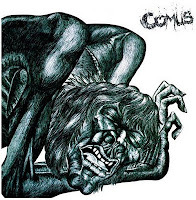 Comus are our penultimate Roadburn band, they played the fest in 2010. They are a folk/art rock band making heavy use of violins and eastern percussion. 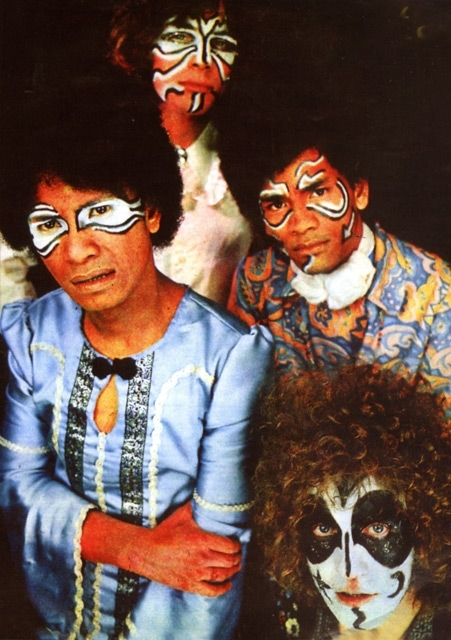 Although being short-lived in their initial incarnation between 71-74, they are cited as influences by many notable musicians. Opeth have made direct references to their lyrics in more than one song and Current 93's folk-experimentalist David Tibett covered 'Diana' from the first album, 1971's "First Utterance", from which I have also taken "The Bite". They have plans to release new material this year, which will be the first in almost 40 years. Johnny Lion & The Jumping Jewels, from The Hague, started in the early 60's as an instrumental beat group. They achieved a reasonable level of chart success and in '65 a falling-out caused Johnny Lion to go it alone. Legal wrangling meant the remaining members were forced to change their name so they became JaysJays. Taking on Willem Duyn as singer they recorded a self-titled in 1966, from which "Cruncher" is taken. A heavy and reckless jam, Cruncher is the perfect name for it and you can just feel heavy-metal barriers being broken down as it plays out, ending on walls of feedback. Heavy stuff for '66 indeed. The core of Vlissingen's Dragonfly were brothers Rudy and Tonny de Queljoe, who moved from Ambon, an island in Indonesia, to The Netherlands in 1951. They went through a number of bands and names with singer Johnny Caljouw until settling with 'Dragonfly', and the addition of Huib Power (drums) plus Carlos van den Berg (guitar). Though showing more than enough potential for success, ultimately they only recorded two high quality singles, which were released together as the EP "4 Celestial Songs" in 1968. Disagreements and a falling out between band and manager led to show cancellations which they never quite recovered from, later the de Queljoe bros went on to Brainbox and Caljouw joined Machine. Machine can be found on Vol.10, and Brainbox on my first ever Dutch comp, vol35 from last year. Dragonfly are remembered for two things in particular, Rudy de Queljoe's fine Hendrixian guitar abilities, and each member’s trade-mark black and white face paint patterns, predating Kiss by a few years. We come to the final Roadburn band for this pair of comps, Guru Guru, who played in 2008. Like their friends Amon Düül, Can and Xhol Caravan, they were a formative Krautrock band that came out of the leftist political scene of the times, living in communes and promoting free thinking through free-form jazz rock. "Der Elektrolurch" is on their 5th, eponymous album from 1973. We near the end with Dordrecht's Inca Bullet Joe, who came from the remains of the well known Dutch psych group The Zipps. They only made one EP, but all three tracks are great, "Nothing Has Changed" maintains a constant steady rhythm, with glam stomp. It builds in intensity with layers of synth creating a basic melodic refrain. All these parts lend a unique and memorable over-all feeling that I really like. 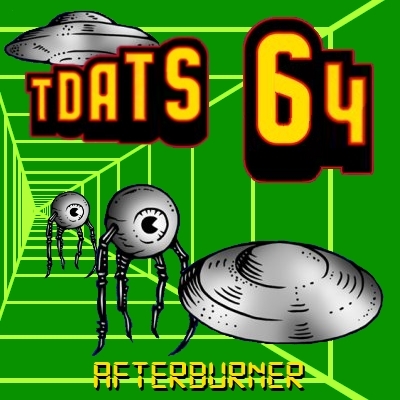 Again I must give props to Robin Wills' awesome blog for digging this rare 45 out. 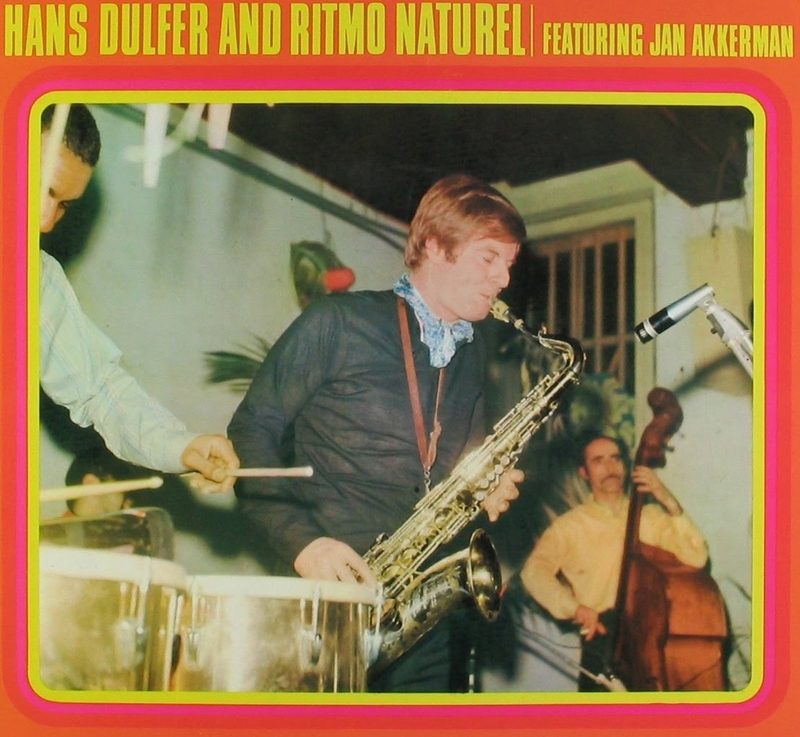 The end is come with Amsterdam's "Hans Dulfer and Ritmo Natural". 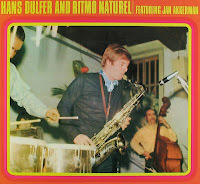 After further reading I have discovered that Hans is something of an international celebrity within cross-over jazz and jazz fusion circles. Candy Clouds, from 1971, is one of his earliest, least-known works and has some fine jazz that rock fans who would normally steer clear of anything described using the word 'fusion' (myself included) need not be afraid of, it avoids the usual pitfalls of inaccessible jazz-prog wankery....the track 'Candy Clouds' begins with a simple, HUGE doom riff that brings Sabbath to mind, and his saxophone playing is stripped-down but never less than expressive. 80 records from aftersabbath... imagine 80 huuuuuge thanks yous and kisses and hugs! wish you as happy dayz as i have with all that superbe sound!!! i know how much work this is!!! and thanks to all the people contributing as well! Thanks, I'm sure it will go beyond 80. I have a lot more in the works! Thanks man, the next one coming soon I am very happy with too! Rich, you are awesome! i like what you do! Thanks a lot!